Tracing as far back to 1600 B.C. during the Shang Dynasty, the intricacies and structure of the Chinese wine vessel has become a tool for historians to discover the importance of wine and its many uses throughout Chinese history. 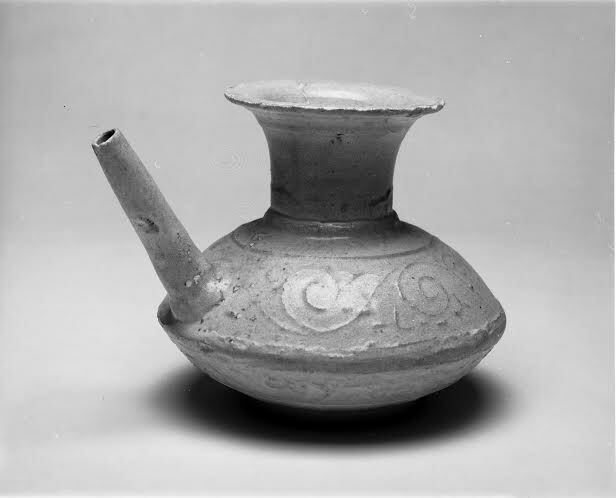 The wine vessel was first commonly used in rituals as a channel through which the living and the dead may communicate to allow the strengthening of ancestral ties and the preservation of family tradition and culture. If you look closely to the marks on this specific vessel, there are spiral designs incorporated around the base. Many historians believe the Chinese saw the cyclical nature of these spiral designs as a symbol of unity or the blending of different elements together to create a dynamic whole. The elements of the living and the dead, reality and mythology are, in effect, all becoming connected as one entity, thus bringing one closer to family traditions and the great divine. Wine also became popular among kings and noblemen of Ancient China. This elite class often drank wine for the purpose of leisure and enjoyment. However, excessive drinking and indulgence by kings, such as Di Xin of the Shang Dynasty, led them to neglect their royal duties and gradually steered the dynasty to its downfall. Lastly, it was soon discovered that wine’s bitter, sweet, and pungent elements gave it the abilities to kill all pathogens and act as a healing mechanism to treat many diseases and illnesses. Medicinal wine became well known as a preservative for kings’ corpses, as well as a treatment for snakebites, carbuncles, and other itches.